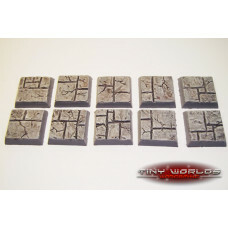 Set of 10 intricateley detailed 20mm square wargaming miniature bases appropriate for a number of fantasy wargames. 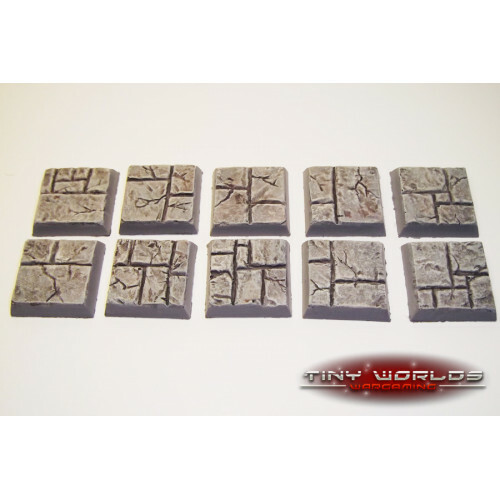 These stunning bases present a sculpted paved/dungeon pattern and are perfect for adding that extra level of detail to your miniatures, quickly and easily. Produced from a strong cast polyurethane resin, these bases are sold unpainted and without flocking. Painted examples shown to define detail and display the possible appearance. The bases are straightforward to paint with a superb level of detail and can be easily combined with bases made by most other manufacturers to make a unique unit.